I am in denial that summer is over. There is still some fun weekends and Labor day weekend to squeeze in some fun adventures. If you want to plan something fun for your family, then today's guest blog post is perfect. Whitney has some fun places to visit all within a 6 hour drive of Salt Lake City. Utah is home to some pretty incredible natural and manmade attractions. If Utah is also home to your family, you don’t have to venture far to find adventure. This year, however, you may want to consider venturing out into some of the nearby states to explore some unchartered territory. Here are three great family friendly destinations that may be new to your family. All three locations are within a six hour car drive from Salt Lake City. Sandboard on the Dunes - bring along your snowsled or rent a sandboard from the visitor’s center at the park. 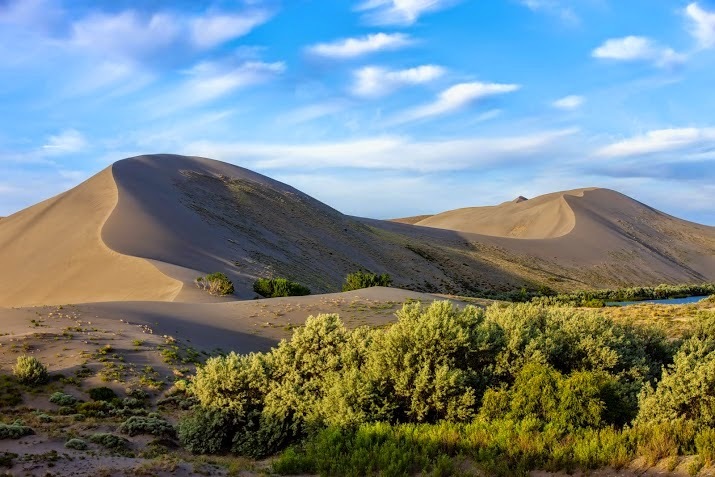 You can also hike on and around the dunes and play in the sand. Keep in mind that the sand will most likely be hot on a hot summer day so plan accordingly. Everyone will be covered in sand afterward, so have a plan to deal with the sand. Star Gaze at the Observatory - special events at the public observatory in the park offer some great star gazing opportunities. Check out the park events schedule and check the weather forecast. Camp in the State Park - plan to stay the night and pitch your tent. Your family can enjoy fishing, swimming, hiking, and bird watching. Bring along some kites and make the most of the Idaho wind! Road Trip Tip: The drive through northern Utah and southern Idaho has little to hold the attention of children. Pack some extra car games, activities, fun music, and even audio books to keep the whole family relaxed and entertained. Glenwood Caverns Adventure Park - ride up the mountain on the gondola tram. Get your heart racing on one of the thrill rides like the Cliffhanger roller coaster. Take in a 4D movie experience with moving seats and challenge the family to a game of laser tag. You should also check out the cave tours included in some of the ticket packages. Hanging Lake - take the short, steep, hike beginning in Glenwood Canyon. 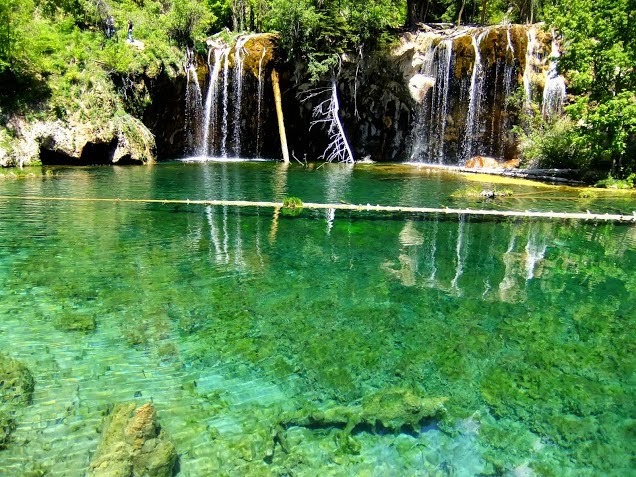 Hanging Lake was formed by glaciers suspended at the edge of the canyon. This lake boasts stunning waterfalls, a lake full of trout, and crystal clear water. Glenwood Hot Springs Pool - visit the world’s largest hot springs pool. You can swim in the warm mineral water pool the length of a football field. The kids can enjoy the kiddie pool and two waterslides. Road Trip Tip: Pack a separate bag to stay in the car at all times. Keep an extra simple change of clothes for each family member, wet wipes, hand sanitizer, sunscreen, and a first aid kit. This will help you be ready for the unexpected while you are out having fun. You should also consider stocking up on simple snacks to eat in the car. Doing so will save you time and money when you need to stop for gasoline. Wyoming Dinosaur Center - visit the dinosaur museum showcasing over 30 mounted dinosaurs, hundreds of displays and dioramas, and a modern preparation laboratory. You can also tour nearby dig sites and see actual excavation of real dinosaur bones from the ground. Special programs are also offered that allow you and your kids to participate in real fossil digs! These special programs do require signing up in advance. Star Plunge Pool Complex - Thermopolis is home to the Hot Springs State Park. These hot springs are used to heat the local swimming pools. Take the plunge into one of the indoor or outdoor pools. Test out your tricks on the diving board or head down one of the three fast-paced water slides. The adults can relax in an adults-only sauna and there is also a separate kiddie pool. 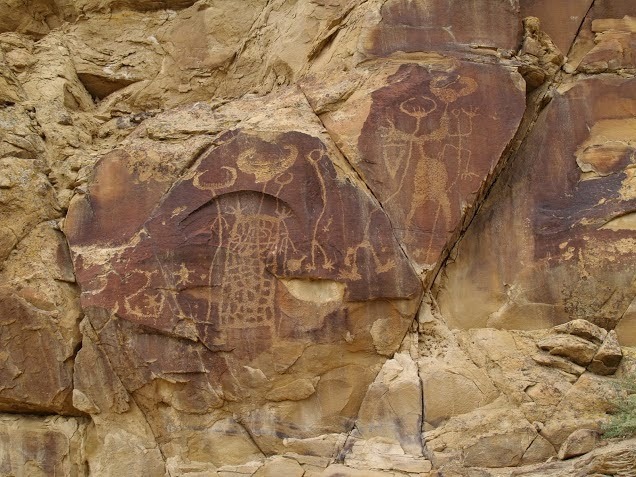 Legend Rock Petroglyph Site - Hike to one of the most impressive petroglyph areas in the world. In order to visit the site, you must first obtain a key form the Thermopolis-Hot Springs Chamber of Commerce in Thermopolis. Road Trip Tip: Make sure your car is in great condition for your trip. Take care of any needed tune ups or repairs. You may want to consider having your tires checked and rotated before you head out as well. If you have been planning to buy a new car for your family, buying one before your big trip might be the perfect time to make the purchase. Be sure to check out online specials from local dealers to see if you can find what you are looking for and stay on budget. Summer is the perfect time for exploring. Plenty of time is still available to enjoy a short trip to one of these fun destinations. So clear your calendar, pack the car, and take your family on a summer trip they’ll remember forever.